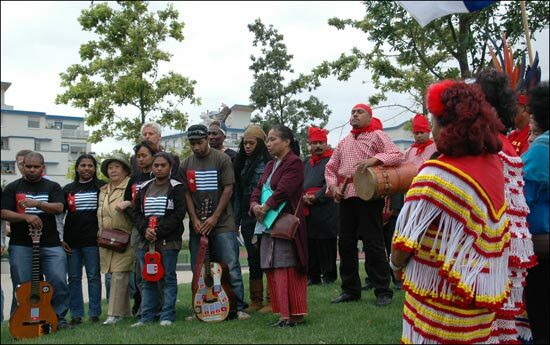 Celebrating the World’s Indigenous Peoples Day - August 9, 2007! 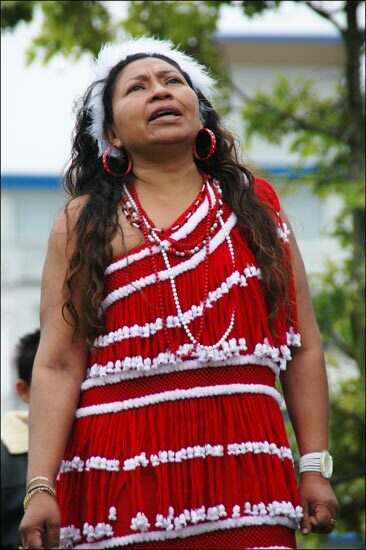 A REFLECTION AND PRAYER ON THE GLOBAL CEREMONY FOR INDIGENOUS RIGHTS. 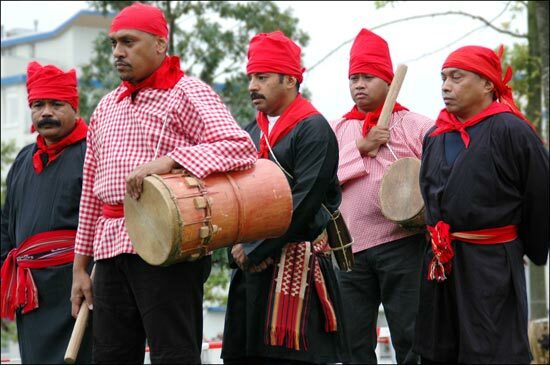 Alifuru, Papua’s, Mapuches, Marrons and Turkana. When God created the world, He divided everything equally among tribes and nations. God said to every human race, “This is your land, your water, your forest, your mountain, your food, your wealth and your power. I have given everybody their fair share of all my creation so that everyone will live in peace, prosperity and happiness. You will recognize your share because I gave them titles based on the language that I gave to each of you.” And so every tribe and nation got a place to stay, a territory and a homeland as a fair share from the creation of the Lord. Then God gave every human race their share of faith, language, knowledge system, laws, economy, and weapons of security. God said, “This is your religion, your language, your knowledge system, your laws, your economy and weapons of security. The laws of nature that command and regulate all of my creation will guide your existence. All of you will secure peace, equality and justice. You shall recognize and respect the share I gave to you and to others as your way of respecting the will of my Creation.” .” So, the tribes and nations got their cultural identity and integrity in the heart of the creation of God. Poverty among the Indigenous Population in the world today occurred because their share from God’s creation are not recognized and respected by others. 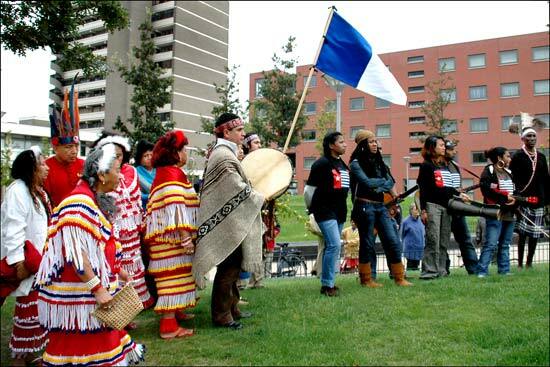 Indigenous Peoples and Nations of the world continued to suffer invasion, assaults and exploitation by governments, multi-national corporations and organizations that refused to respect their culture, identity and rights as peoples. In celebration of the World’s Indigenous Peoples Day, we, the Elders, Shamans and Peace Builders of the Indigenous Talaandig Nation and PANAGTAGBO Mindanao unite with the Indigenous Peoples of the World in executing this Global Ceremony for Indigenous Rights to affirm our inalienable relationships to the lands, the waters, the plants and animals, the forests and mountains, the wealth of nature, the air, the sun, the languages and sounds and the spirits that provide life to all. As Custodian of the world, we commit ourselves as responsible caretakers and protectors of our cultures, identities and territories as ours simplest contribution towards peace, justice, equality and environmental security and sustainability! Let the air carry our blessings to the world; let the sun enlighten its path and the rain shower our message for peace, justice, equality and prosperity. Let the United Nations see the inevitable truth of our existence and deliver our share of justice from the creation. Let not the individualistic and personal interests reign over our collective and inclusive unity in the world. With our ardent praises to the equality of God’s Creation we shall live united in prosperity… Lalah…ilalah…. Barakat…Mangasi! God Bless us All!